The Particle Swarm Optimization or PSO is heuristics-based optimization, in which the solution candidates of a problem go through a process that simulates a simplified model for social adaptation. Of course, parallel implementations of PSO can provide better performance. However, this depends on heavily on the number and characteristics of the exploited processors. With the advent and large availability of General Purpose Graphics Processing Units and the development and straightforward applicability of the Compute Unified Device Architecture platform, several applications are being benefited by the reduction of the computing time. 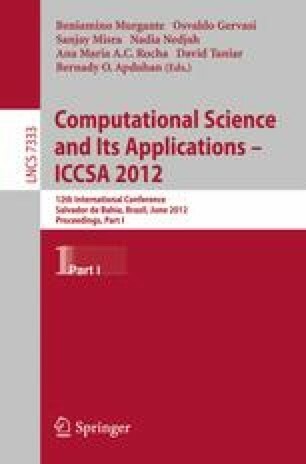 In this paper, we propose a massively parallel algorithm of PSO and implement it using a GPGPU-based architecture, aiming at improving the performance of computationally demanding optimizations. We show that, for identifiable specific mapping parameters, one can reduce total execution time drastically and also, improve greatly the optimization process convergence. These parameters include the number of swarms and that of particles per swarm, together with their mapping into blocks and threads, respectively. All the swarms and particles therein operate in parallel and synchrony.